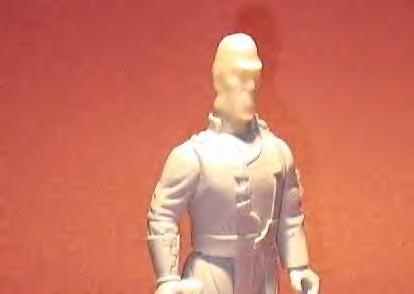 Showcased here is an unpainted first shot head for the unproduced 2nd series Droids character, Admiral Screed. The head is cast in injection molded plastic. Above we see a rear view of the head. Take note of the number "2" written on the back of the head. 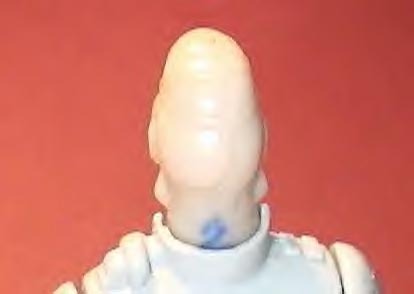 It likely designates this head as a particular individual amongst a larger batch of heads. The above shot affords a side view of the first shot head. 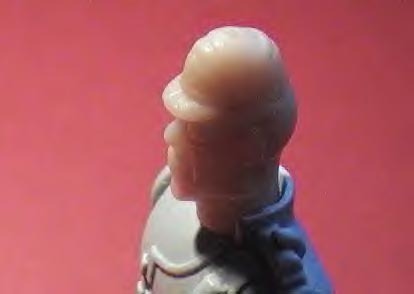 James has gone a step further in displaying his first shot head, as shown above, by adding it to a reproduction figure body. Prototypes of the coveted unproduced 2nd series Droids line are popular amongst prototype collectors and the Screed first shot head is nice first shot example. 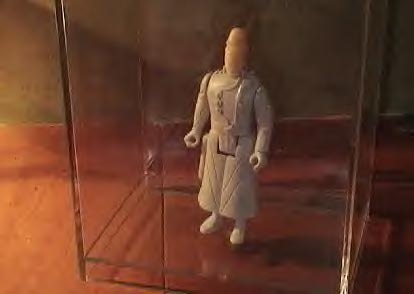 I've always felt Admiral Screed is one of the most impressive of the unproduced Droids characters.